This Peppermint Vanilla Nog is amaaazing. 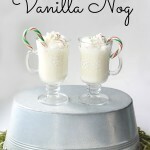 Admittedly I am traditionally not an “Egg Nog” fan, but I have to say this Peppermint Vanilla Nog has made me a believer! 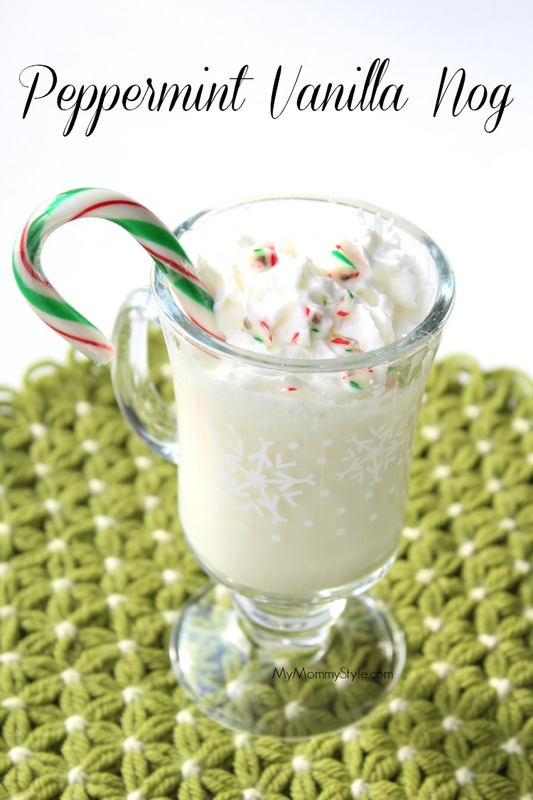 It doesn’t have an overwhelming egg nog taste and reminds me a lot of peppermint ice cream. 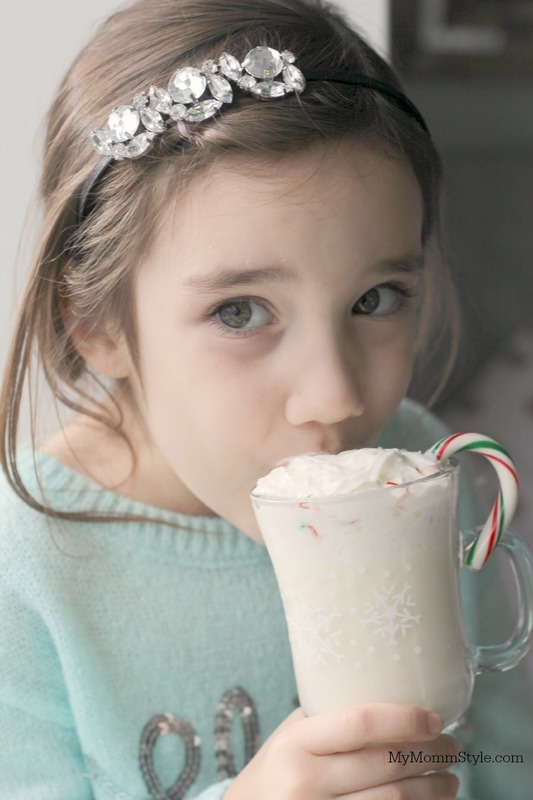 My daughter and I tasted a few different options of peppermint to nog ratio and this is what we thought was best. International Delight is ready to consume and is best cold. This recipe makes enough for two people but you could double or triple depending on how many servings you are looking to make. This amount of peppermint was agreed upon by myself and my daughter, but of course you can adjust according to your liking. Serve with some warm cookies or popcorn for a fun snack on a cold night! 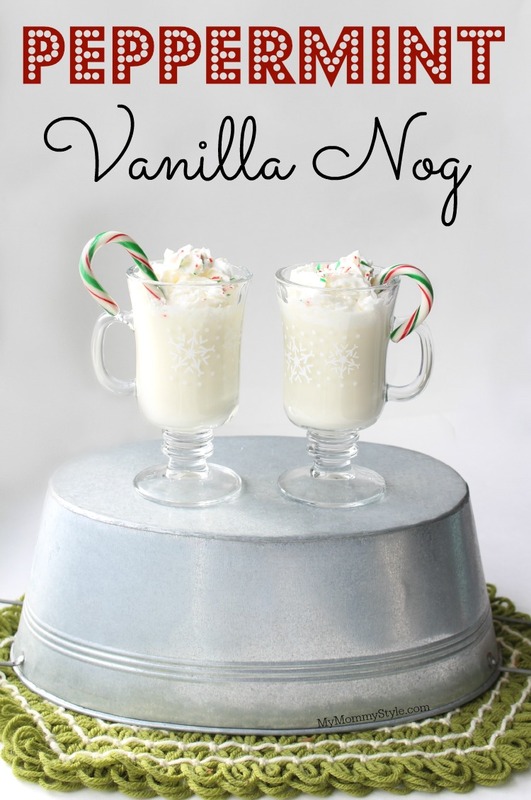 My kids adored this drink and I am thinking it may be a new tradition for us it is that yummy! I hope you like it! International Delight has so many yummy flavors like pumpkin pie spice, sugar cookie, hot chocolate and more. If you are looking for their products in the store you will want to look in the dairy section next to the other creamers for coffee. For this new line of hot chocolate and nog you can find it next to the other egg nog in the dairy section by the milk. Visit InternationalDelight.com to see how International Delight helps you capture the spirit of the season and for a chance to win a holiday brunch for friends and family hosted by International Delight! Linked up with Tidy Mom, Katherine’s Corner, A Dish of Daily Life, The Pin Junkie and Saving 4 Six.